A nice pair of Royal Australian Air Force aircraft were spotted completing airwork at Rockhampton Airport at different times on Tuesday 31 October. 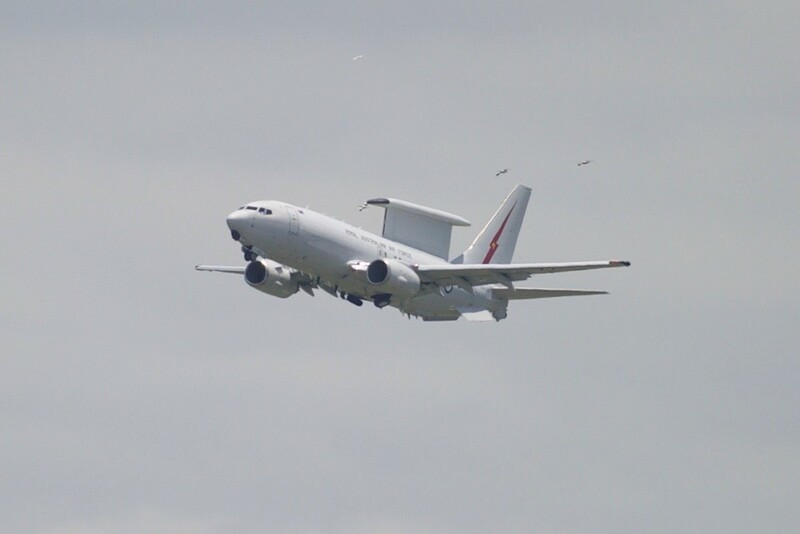 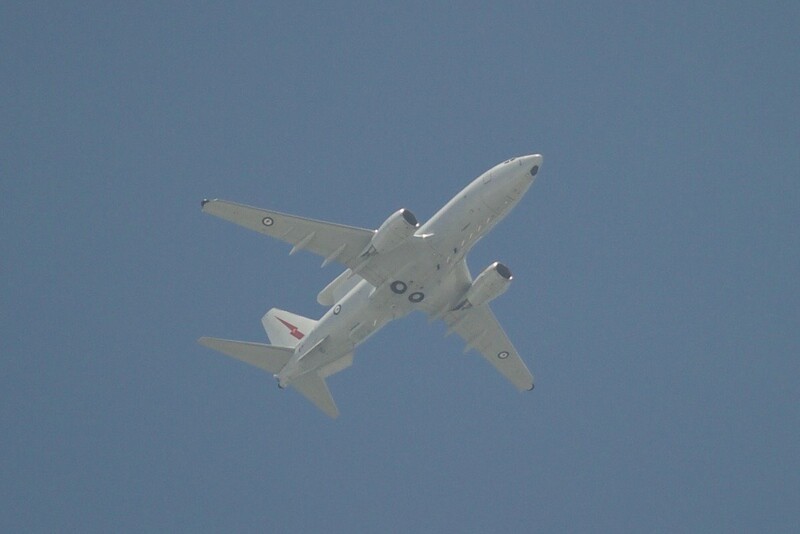 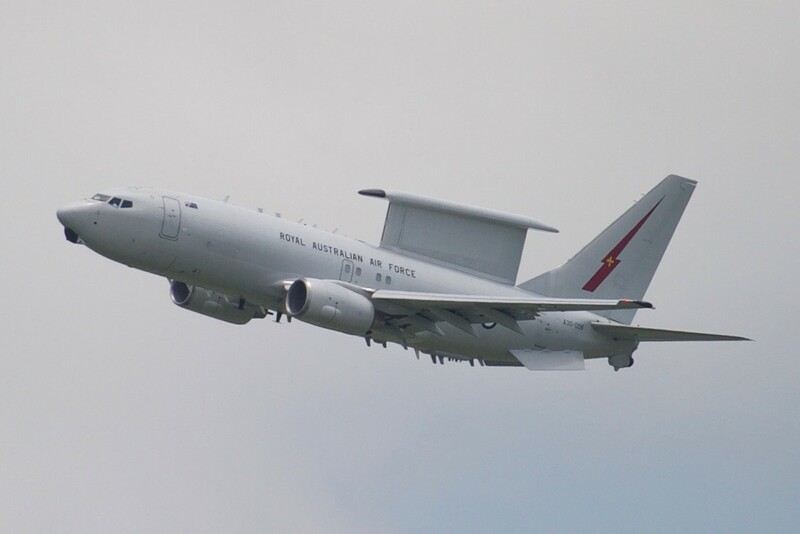 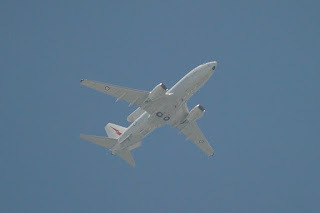 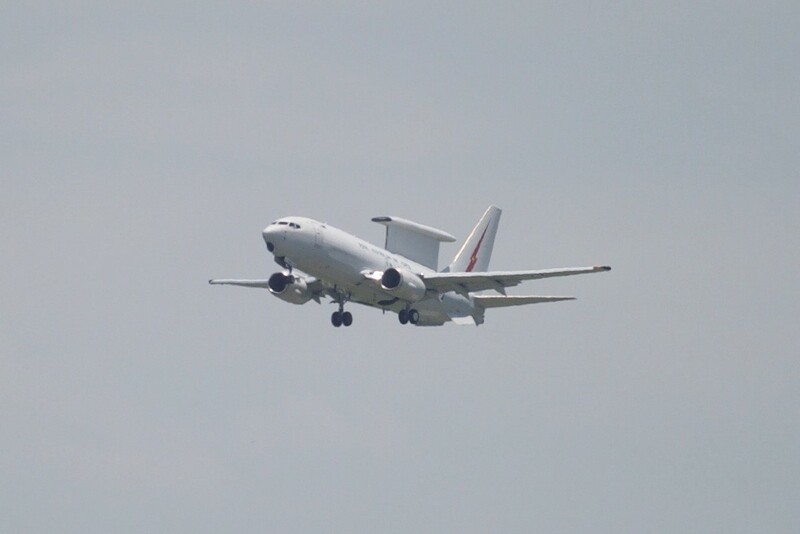 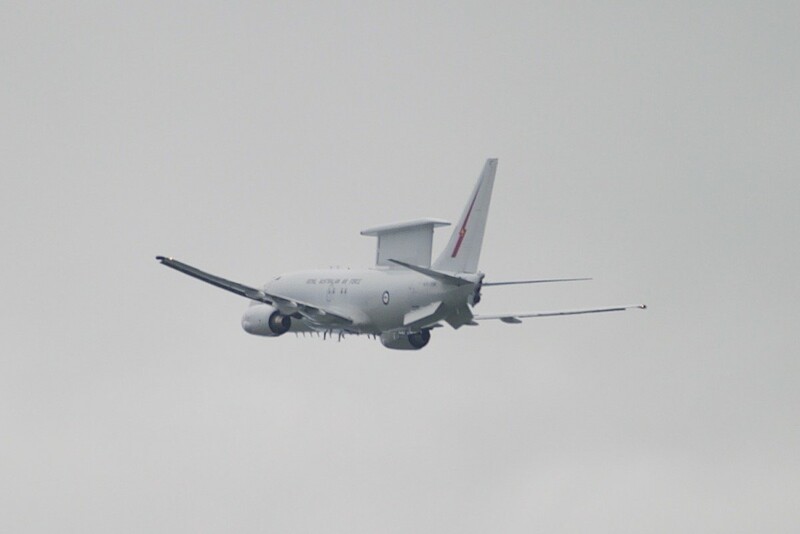 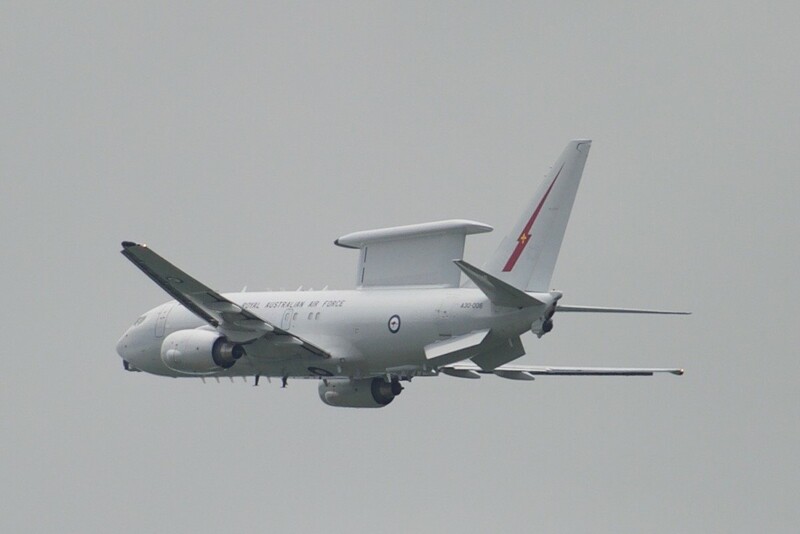 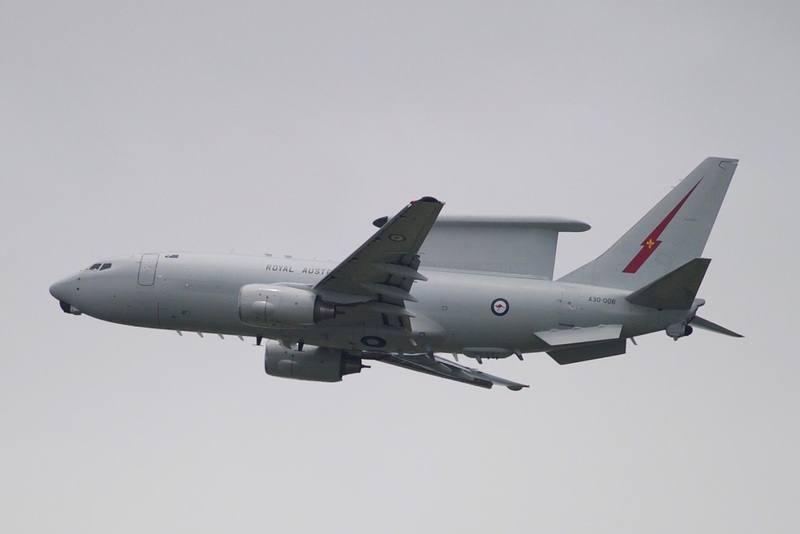 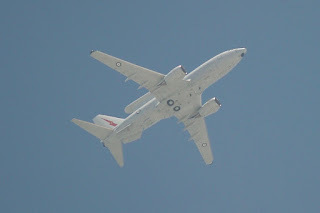 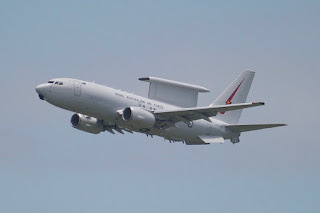 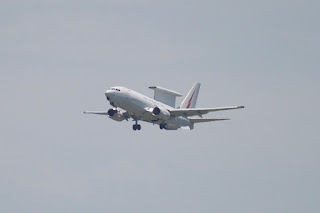 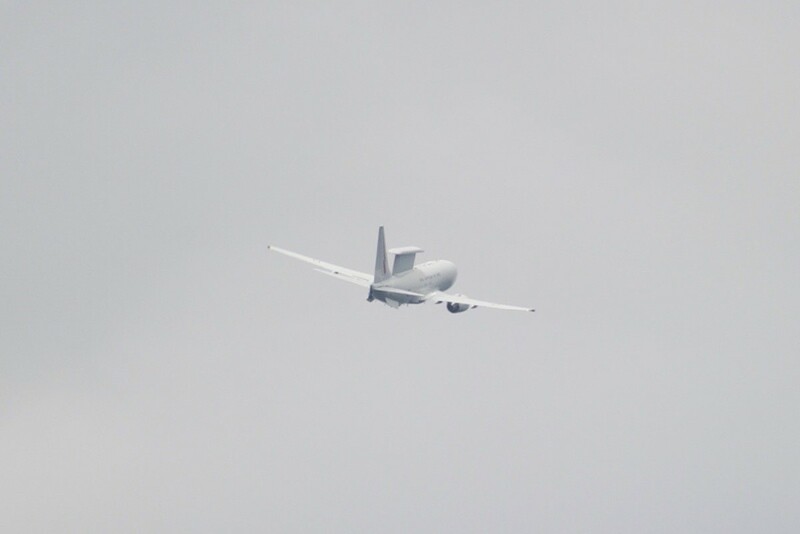 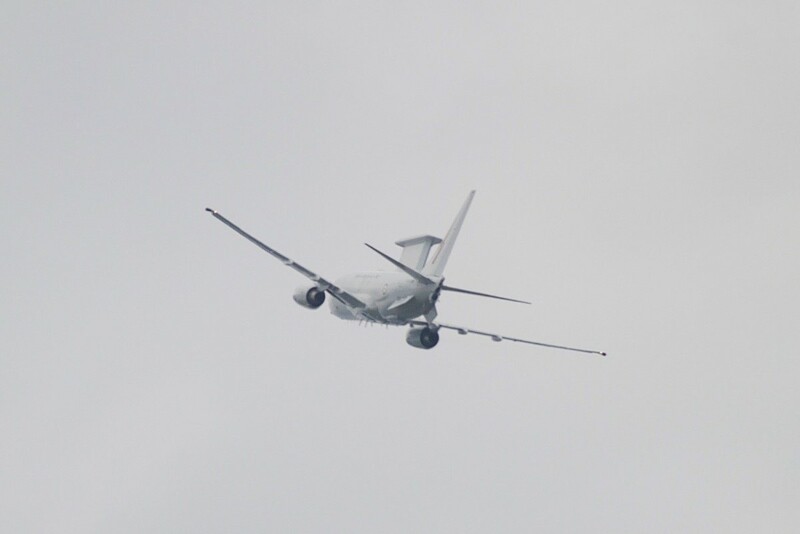 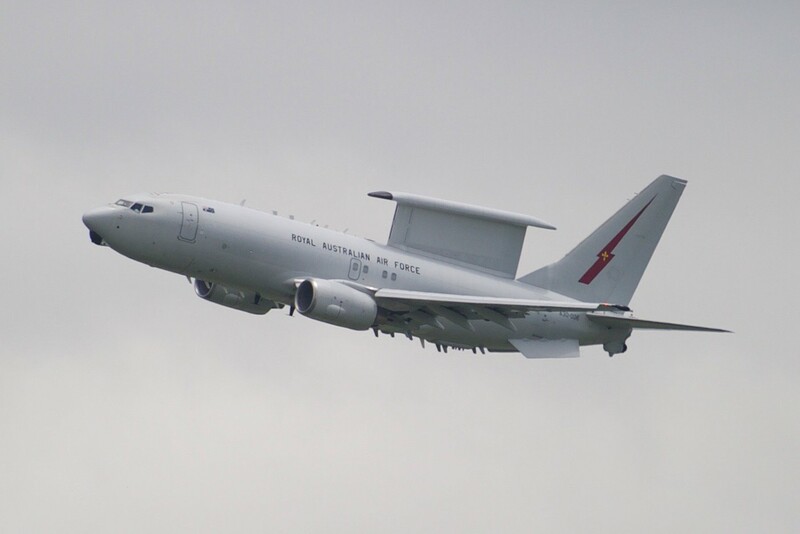 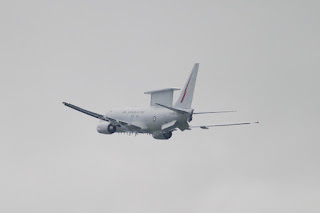 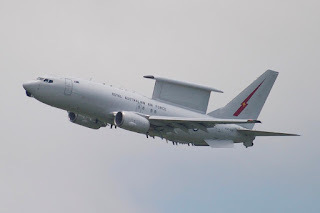 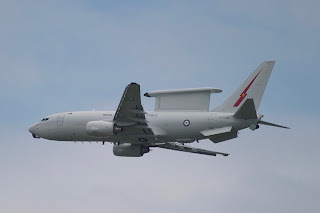 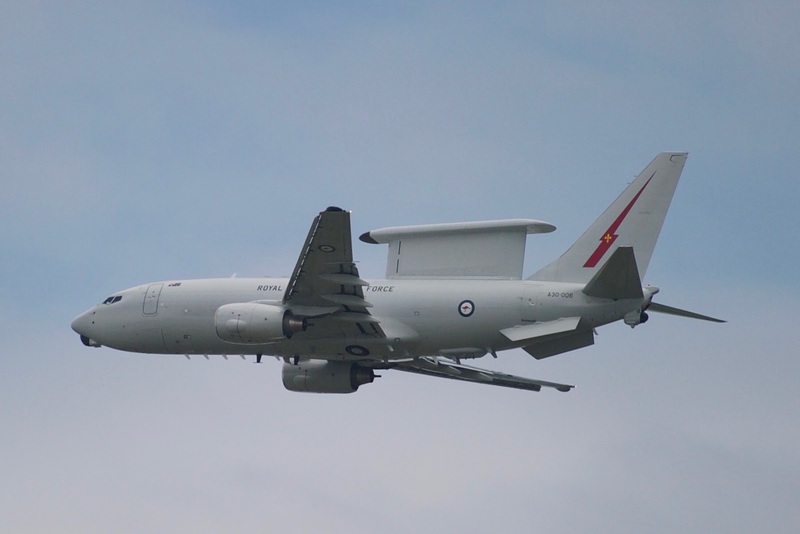 RAAF Boeing B737-7ES / E-7A Wedgetail Airborne Early Warning & Control (AEW&C) aircraft A30-006 was first to be spotted completing airwork Rockhampton Airport. 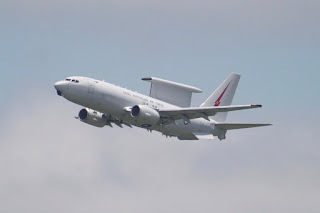 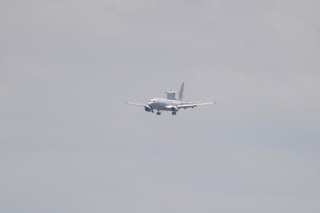 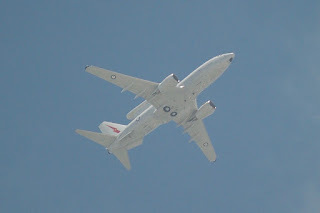 It flew up from the South and completed a missed approach onto Runway 15 at Rocky before departing back towards the South and eventually landing at RAAF Base Amberley. 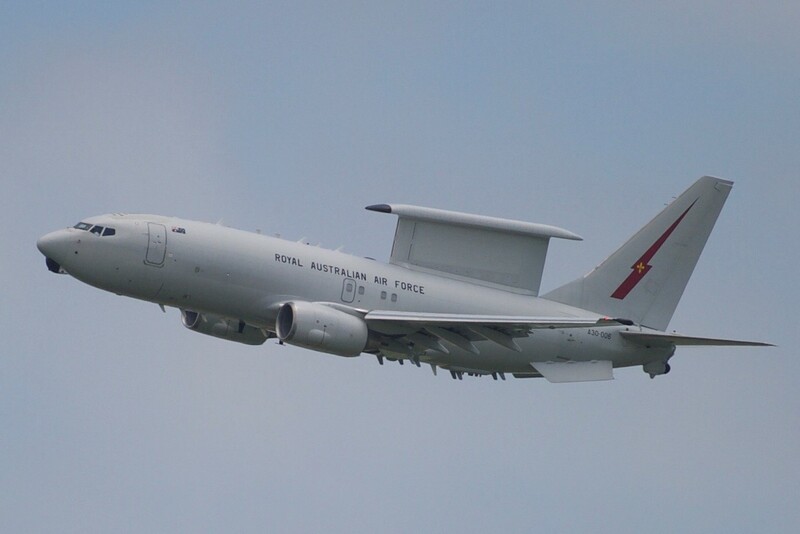 A30-006 was heard to be using the radio callsign of "Wedgetail 17". As posted on our Facebook page, on Monday 30 October, fellow RAAF Wedgetail A30-003 - flying as "Wedgetail 1" - also completed a missed approach at Rockhampton Airport. 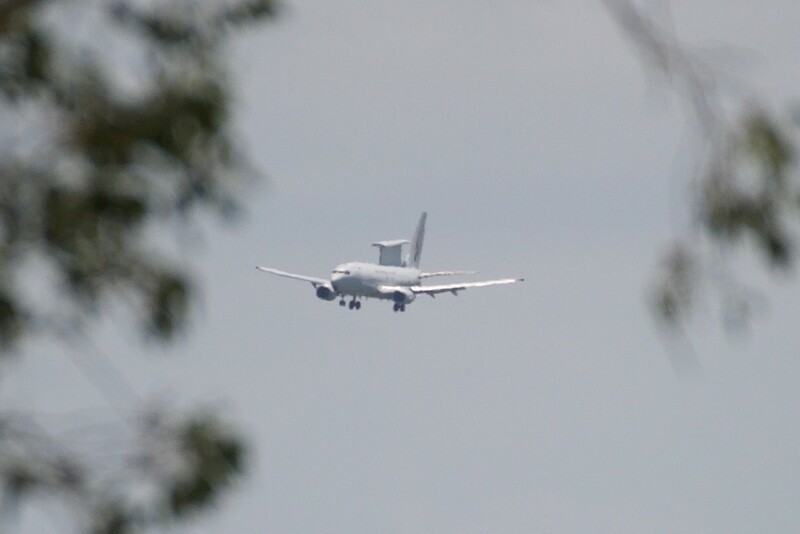 It reportedly flew up from the South East and departed to Amberley where it completed another missed approach before continuing further South. 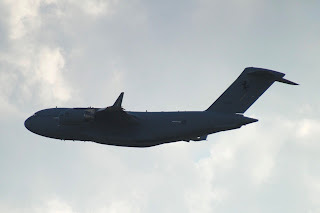 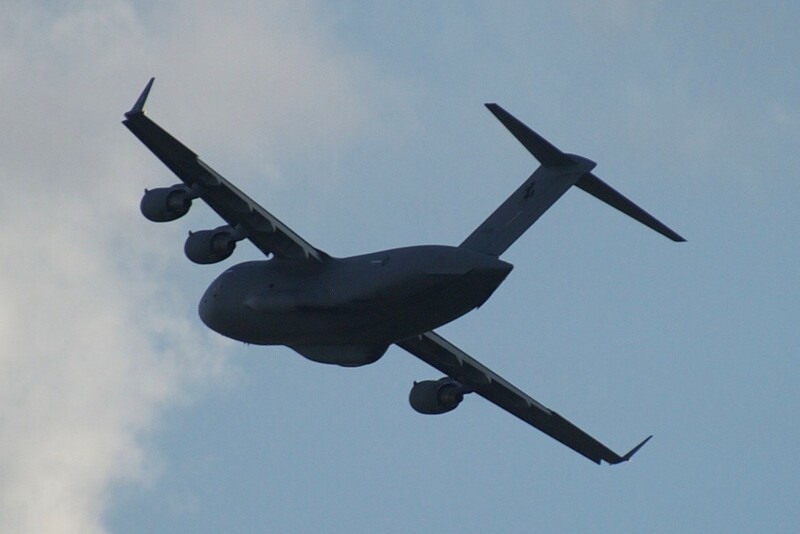 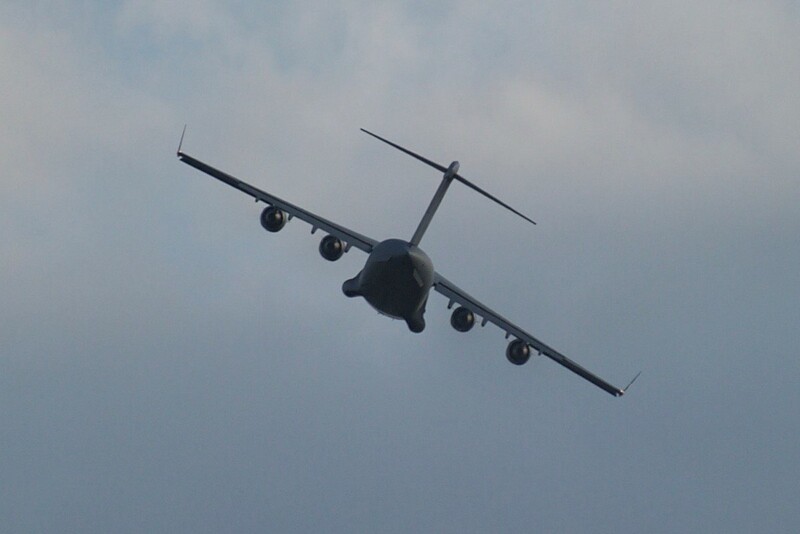 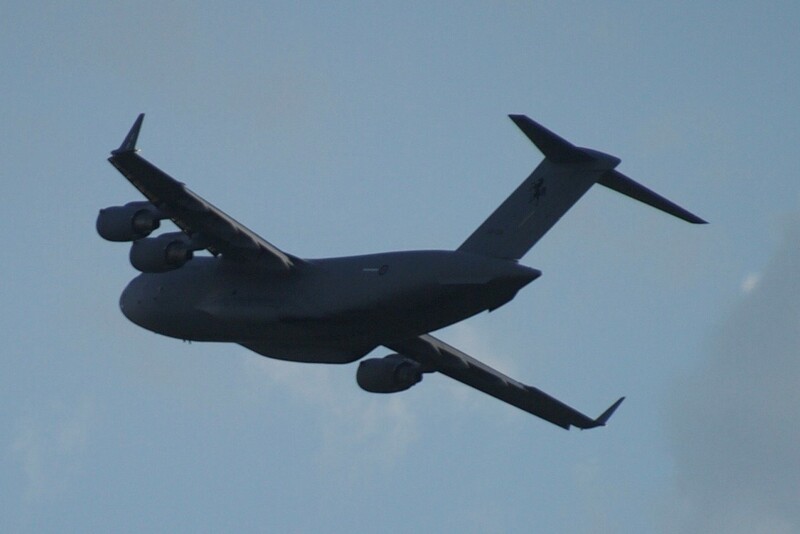 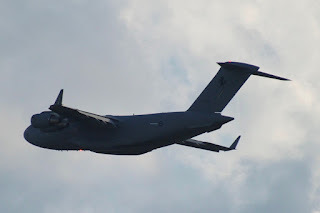 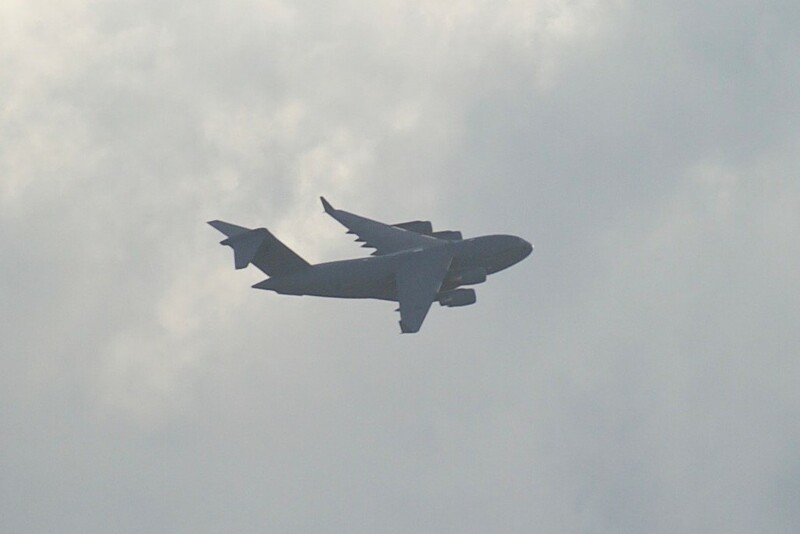 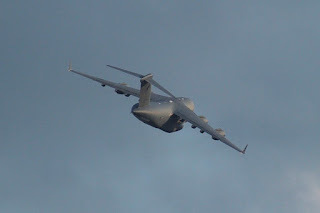 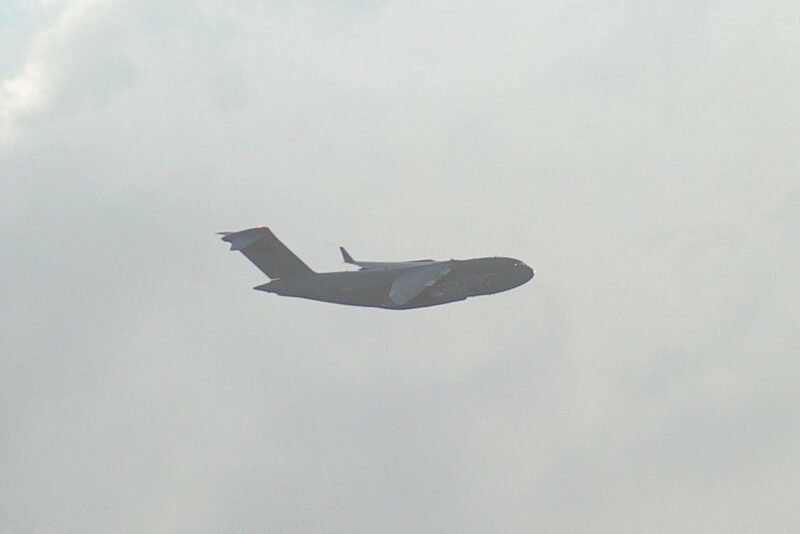 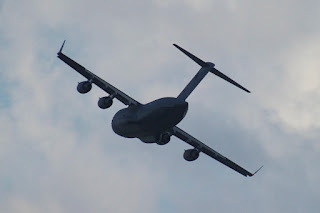 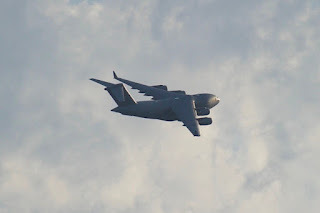 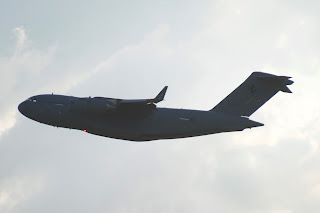 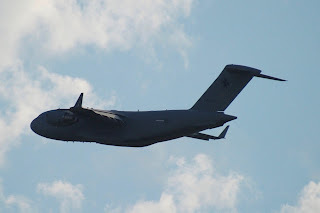 Meanwhile, also on Tuesday 31 October, RAAF Boeing C-17A Globemaster III transport aircraft A41-209 flew up from Amberley and also completed a missed approach at Rockhampton Airport. 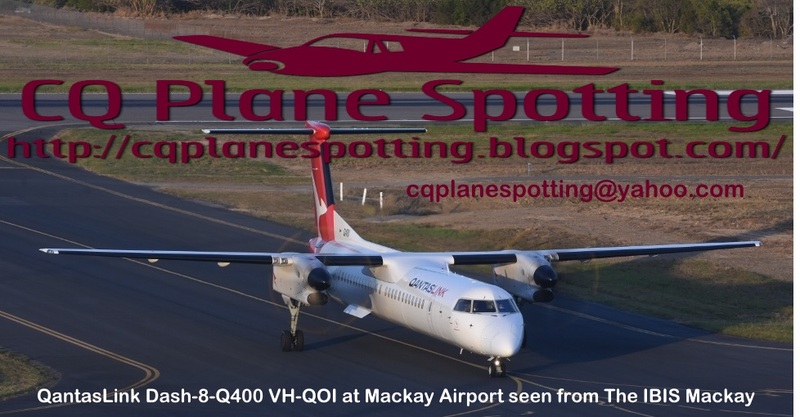 It then flew a wide circuit and landed at Rocky for a short time before making a spectacular late afternoon departure to Townsville. 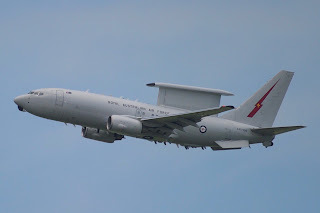 A41-209 was heard to be using the radio callsign of "Stallion 72". 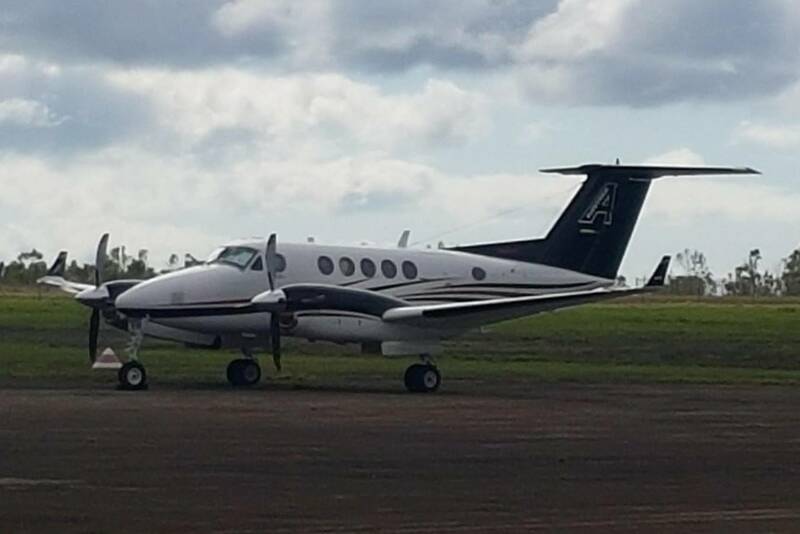 Finally, one more RAAF aircraft was noted completing airwork in CQ also on Tuesday 31 October, with Beech B350 Super King Air A32-349 flying as "Torch 28" noted completing a missed approach at Gladstone Airport after flying up from Oakey. 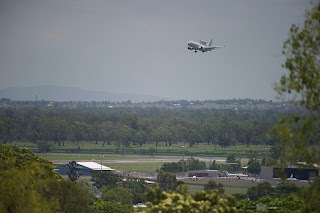 It then continued to Hamilton Island Airport where it completed more airwork before continuing further to Townsville. Some great photos of a couple of great visitors to Rockhampton! We sincerely thank local plane spotters Daniel B and Kayanne H for taking the time to capture and send through these great photos! Queensland Premier Annastacia Palaszczuk called the State Election for November and immediately launched her campaign in Central Queensland and the Whitsundays calling into Proserpine (Whitsunday Coast) Airport on Sunday 29 October to hit the hustings at Airlie Beach. 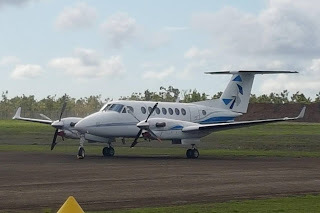 Bringing the Premier and her support staff, along with media to Prosie were Easternwell Group Beech B300 Super King Air VH-EWQ and Austrek Aviation Beech B200 Super King Air VH-ZGD which both looked to position from their Toowoomba base to Brisbane before flying North to Proserpine. 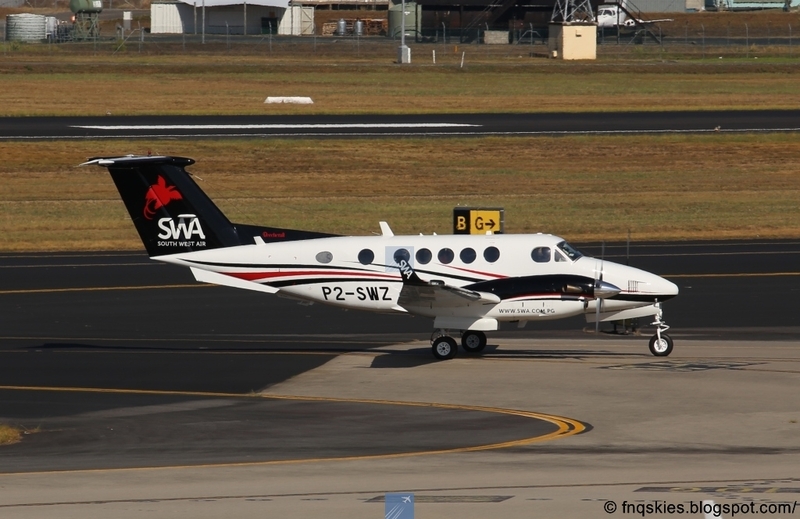 Of interest, VH-ZGD is a recent acquisition for Austrek Aviation with the Super King Air previous operating in Papua New Guinea (PNG) with South West Air as P2-SWZ. 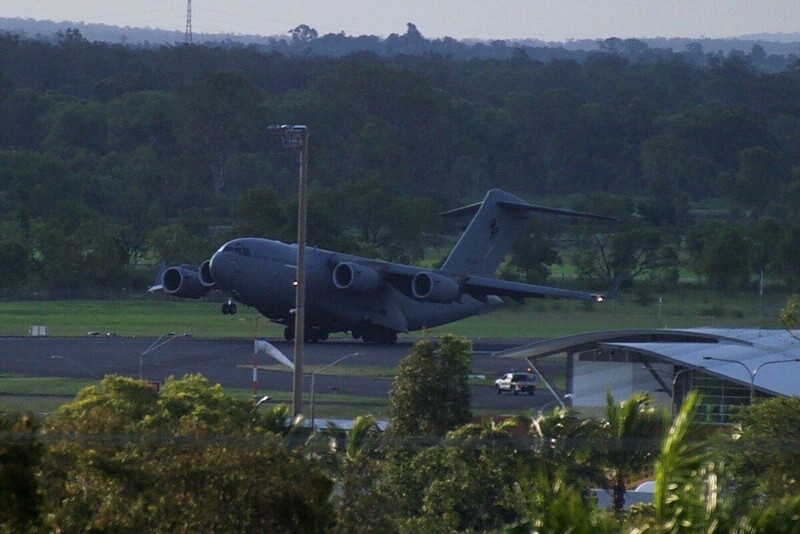 As shown, it was a regular visitor to Cairns. 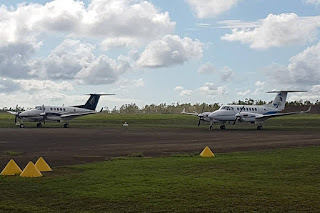 Joining them on the ground also at Proserpine later on Sunday 29 October was the Queensland Government (State of Queensland) Raytheon Hawker 850XP bizjet VH-SGY which also flew in from Brisbane. 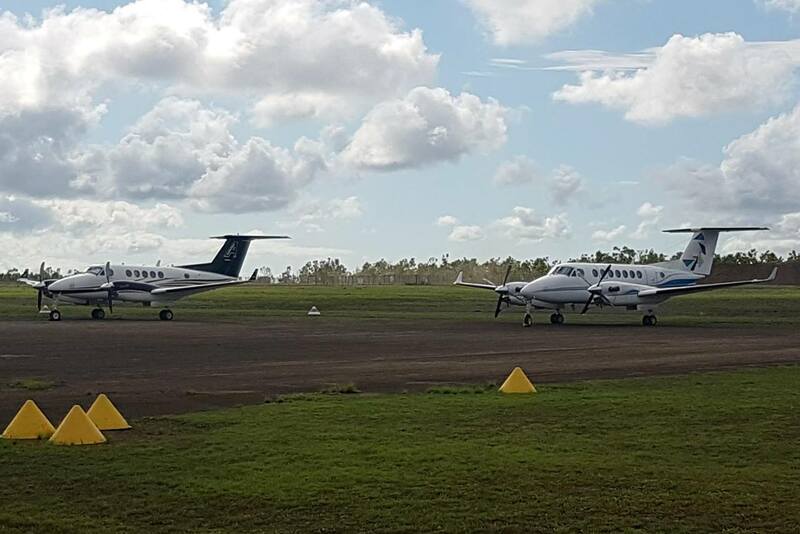 On Monday 30 October, all three aircraft departed Proserpine Airport for Townsville where Premier Palaszczuk's campaign continues. Thanks to local plane spotter James K for taking the time to capture and send through these photos as he passed through Prosie early on Monday 30 October.